1792 Birch cent. Judd-3. AU-58 (PCGS).226.0 grains. Coin turn. Plain edge. An exceptional specimen of this great rarity, exhibiting a superbly detailed portrait against lustrous chocolate brown fields. Olive and pale blue highlights coexist with good mint frost on the smooth, appealing surfaces. A thin lintmark extends from the gap between Libertys lips, and a very subtle C-shaped hairline is noted between Libertys eye and her hair. The reverse is a bit lighter than the obverse, showing decided pale olive green highlights and a scattering of unobtrusive marks. Some shallow tan scale adheres harmlessly in the space below TED of UNITED. The tiny obverse specks are less significant in hand than they may appear on a photograph, disappearing at most angles to the light. At their most notable, they are shallow and stable, seen only on the right side of the coin and most concentrated in the right obverse field. Denticles frame most of the obverse and all of the reverse, and the name BIRCH is bold at the portrait truncation. The sharpness is nearly definitive and the visual appeal is both impressive and positive in hand.<p>The Birch cent is, simply, the first of a cultural phenomenon that is known the world over: it is the first American cent. <p>On August 23, 1792, George Washington wrote to Thomas Jefferson from his home at Mount Vernon, asking the then-secretary of state to "note down, or rather to frame into paragraphs or sections such matters as may occur to you as fit and proper for general communication at the opening of the next Session of Congress -- not only in the department of State, but on any other subject applicable to the occasion." Jefferson responded with a very long letter written from his home at Monticello, two weeks later, on September 9. After paragraphs of complaints about Alexander Hamilton and the factions in Washingtons government, he affirmed that he would soon be "delivering you the little matter which occurs to me as proper for the opening of Congress." It took Jefferson about a month to give Washington the verbiage he needed for his Message to Congress, an annual address that would later become known as the State of the Union. In it, Jefferson offers Washington details to pass along to Congress on a subject near and dear to Jeffersons heart: the nations coinage.<p>On October 15, Jefferson wrote to Washington that:<p>"<em>in execution of the authority given by the legislature, measures have been taken for engaging some artists from abroad to aid in the establishment of our mint; others have been employed at home; provision has been made of the requisite buildings, and these are now putting into proper condition for the purposes of the establishment. 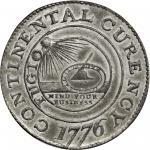 There has been also a small beginning in the coinage of the half dismes and Cents, the want of small coins in circulation calling our first attentions to them.</em>"<p>Washington passed these words along to his primary speechwriter, Alexander Hamilton, who incorporated them into Washingtons Message to Congress. 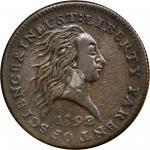 He amended them slightly, however, noting the "small beginning in the coinage of the half dismes," but omitting Jeffersons mention of cents. Why? Had Hamilton seen them, and found them ugly? Were they too big and unwieldy, twice the size of the coppers and British halfpence then so common in pocket change? Had the number of 1792 half dismes struck -- thought to have been 1,500 pieces, as represented in Jeffersons memorandum book on July 13 -- made the half dismes notable, whereas the tiny number of Birch cents struck made them a footnote? Was Washington perturbed that the first pattern variety of Birch cent, as represented by a sole surviving specimen, had included his initials ("G*W. Pt.") despite his wishes to the contrary? We will never know.<p>We can know this: the Birch cents are the only cents that could have been struck as early as Jeffersons correspondence with Washington. 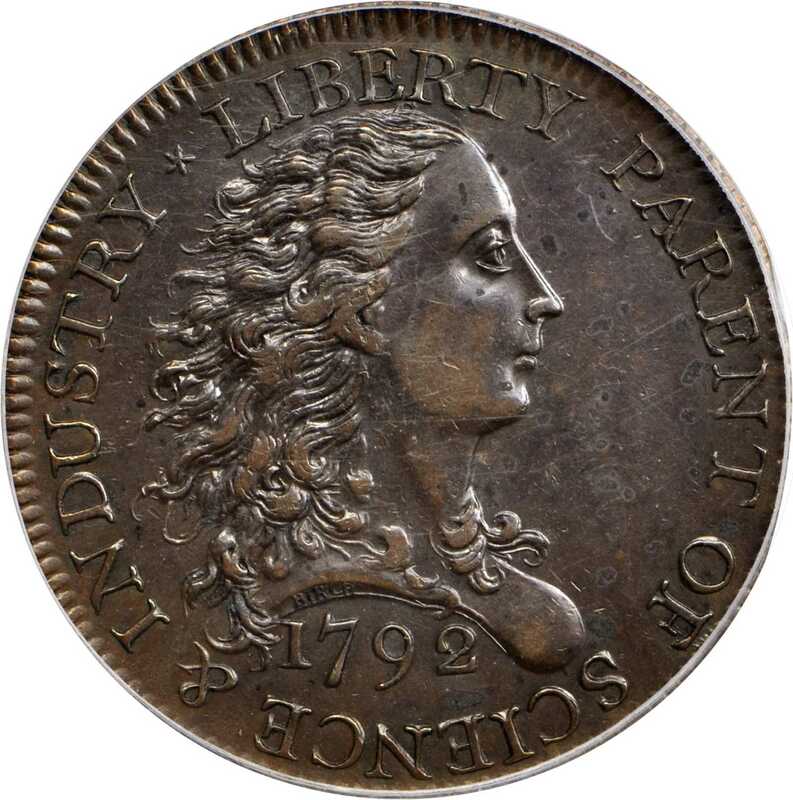 The other 1792 cents, including the Silver Center and the so-called "Fusible Alloy" varieties, were struck inside the Philadelphia Mint in mid-December 1792. Mint Chief Coiner Henry Voigt recorded that he "struck off a few pieces of copper coins" on December 17. The following day, on December 18, Jefferson sent Washington a pair of Silver Center cents and told the President that "Mr. Rittenhouse is about to make a few by mixing the same plug by fusion with the same quantity of copper." Only the Birch cents could have been struck first, and given Jefferson and Washingtons high level of interest in the patterns of 1792, it is almost a certainty that they, and other members of Washingtons cabinet, would have seen these rare coins first hand.<p>Based on stylistic comparison between the signed Birch cent and the bust on the 1792 half dismes, they are almost certainly by the same hand and were likely struck at very close to the same time, likely in the late summer of 1792.<p>There are four varieties of 1792 Birch cents. 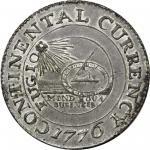 The rarest, and likely the first one struck, exists only in white metal, with a reverse inscription that includes "G*W. Pt.," a reference to Washington that may have been a political hat-tip to the failed Senate version of what became the Mint Act of 1792, which called for a portrait of the President to be depicted. The House version, which won in conference, preferred an image of Liberty. The G*W. Pt. Birch cent attempted to please both parties and was, clearly, an abandoned experiment; just one has survived. The other three varieties of Birch cents are all struck from these dies but with three different edge types: plain edge (Judd-3, as here offered, apparently unique), edge with TO BE ESTEEMED * BE USEFUL * (Judd-4, seven known), and edge with TO BE ESTEEMED BE USEFUL * (Judd-5, two known). Leonard Augsburger has offered evidence that these edge varieties may align with different weight standards, with the Judd-5s hewing to a heavier 264-grain standard (known weights are 262.2 and 240.6 grains), the Judd-4s struck at a 208-grain standard (observed weights ranging from 193 to 220.8), and the plain edges apparently somewhere in between (this example is 226 grains). We suspect the weight variability has more to do with the experimental nature of the issue than a purposeful split standard, but this is a good avenue for further research.<p>For years, conventional wisdom has held that there are two Judd-3s: this coin, whose provenance begins in the 1960s when Charles Jay acquired it, and the Judd coin, whose provenance ends in the 1960s when Abe Kosoff sold it. Saul Teichman has ably tied the two together, stringing this coins provenance narrative to 1859 by using logical deduction (and by noticing that this coin and the Judd coin look identical to each other - because theyre the same coin). 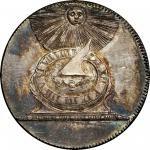 Parmelee was said to have owned a plain edge coin at the same time Appleton did, but a newly discovered example with its edge device filed off, sold by Heritage in August 2017, is now believed to the long-lost Parmelee "plain edge" coin. The rediscovery of the Parmelee coin makes for a total of 12 Birch cents spread over three varieties. But only this variety, Judd-3, is unique, with a single specimen available. It has not been sold in over 40 years.PCGS Population: 1, none finer.From the Archangel Collection. Earlier, from Stack’s sale of the Laird Park Collection, May 1976, lot 201; the collection of J.N.T. Levick; Ed. Cogan’s sale of December 1859, lot 219; William Sumner Appleton Collection; DeWitt Smith Collection to Virgil Brand in 1908; Horace Brand to Dr. J. Hewitt Judd; Charles Jay Collection; Stack’s sale of the Charles Jay Collection, October 1967, lot 201.